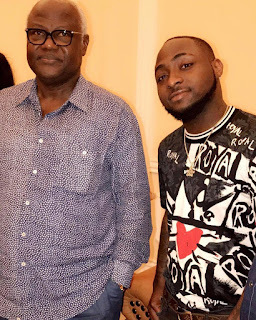 Singer, Davido who is currently on a music tour in Sierra leone took to his IG page to share this photo with the President of Sierra Leone, Ernest Bai Koroma. "Thank You Mr President and the people of Freetown Sierra Leone for the crazy Love! I love you right back! ❤️❤️🇸🇱🇸🇱"